Embossing: May be embossed with a single initial or three block initials at no additional cost. 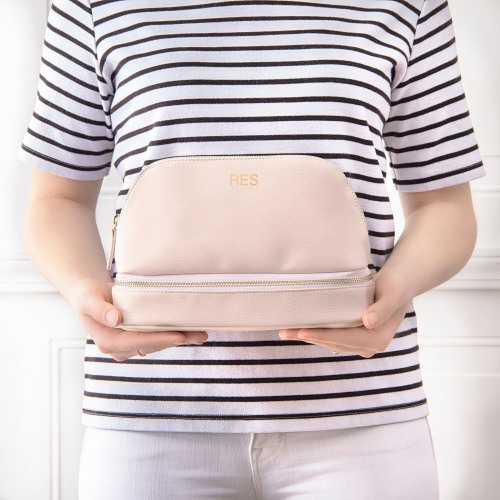 The Personalized Vegan Leather Cosmetic Case is durable with abundant storage space and two separate compartments. This vegan leather bag, secured with metal zippers on both the top and bottom pockets is a essential bag for whenever you travel. Make this your own by ading your monogrom in gold emobossed print.